The first debate between Gov. Kate Brown and challenger Dr. Bud Pierce will be held at 6 p.m. Saturday, Sept. 24, in the Deschutes Room at Riverhouse on the Deschutes in Bend. The event is hosted by the Oregon Territory Chapter of the Society of Professional Journalists. The hour-long debate will focus solely on issues facing Oregon’s rural residents. Candidates will get 90 seconds for opening statements, then will field questions from a panel of journalists: Emily Cureton, producer and host with Jefferson Public Radio; Erik Lukens, editor of The Bend Bulletin; Pedro Quintana, reporter with KTVZ; and Tim Trainor, deputy managing editor of The East Oregonian. Sara Roth, producer of longform and investigative projects for KGW.com, will moderate. SPJ Oregon is hosting this debate in partnership with The East Oregonian, The Bend Bulletin, KTVZ and Jefferson Public Radio. The debate will be aired on KTVZ and live-streamed on KGW.com. SPJ Oregon is hosting this debate in partnership with The East Oregonian, The Bend Bulletin and Jefferson Public Radio. ABOUT SPJ OREGON: The Oregon Territory Chapter of SPJ is the professional organization representing journalists throughout the state of Oregon and Southwest Washington. SPJ Oregon members champion freedom of the press; train journalists; encourage students; recognize excellence; and promote the highest ideals of journalism. We provide training, networking and funding opportunities for members. Learn more at spj.org. INFORMATION FOR MEDIA: Members of the media are invited to attend and report on the debate by reserving seats through Eventbrite. Non-flash photography and recording is permitted, but no live-streaming of the event is allowed. Wifi access will be available in the banquet room. A limited number of pool audio ports are available to journalists. To inquire about access, email spjoregon@gmail.com. The Oregon Territory chapter of SPJ is looking to fill two vacancies on its board of directors. With the chapter board election later this month, now is the time to sign up to serve a one-year term. The board, which sets chapter policies and organizes various journalism events, meets once a month, usually alternating between Portland and Salem. This month the board is coordinating the final details in staging the first gubernatorial debate, set for Saturday, Sept. 24, in Bend and sponsored by SPJ and other media partners. 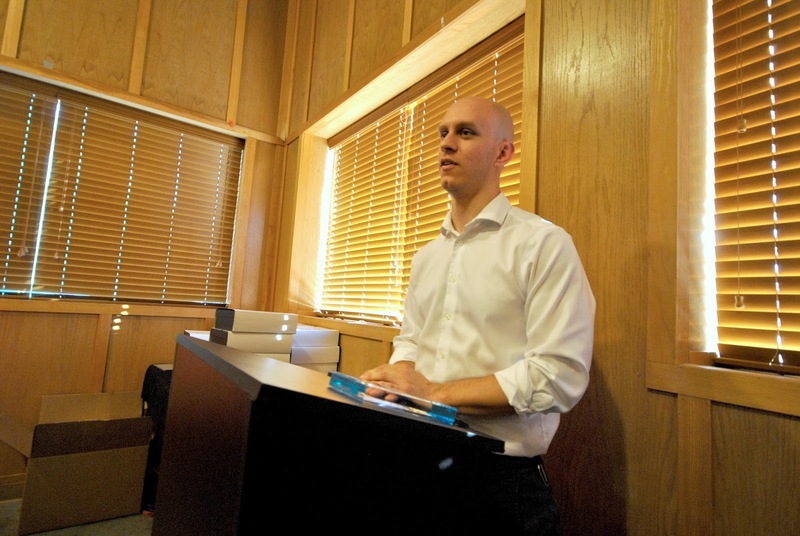 Over the past year, the chapter has organized a variety of training and advocacy activities, ranging from reporting and writing workshops to working with the Oregon Attorney General's office to update the state's open records law. The chapter also helps organize the annual Northwest Excellence in Journalism Competition. If these are the kind of issues and events that you would like to see continue and expanded, please consider joining your journalism colleagues on the chapter board. For more information, contact any of the current board members listed on the chapter website or call or email chapter President Samantha Swindler at 503-812-8992 or sswindler@oregonian.com. Or write to the chapter email at spjoregon@gmail.com. For more information about the chapter and its activities, see the Oregon Territory SPJ website at oregonterritoryspj.blogspot.com. Photo courtesy of Don McCullough from Santa Rosa, Calif.
Join us for an afternoon of drone demonstrations and a panel discussion about the ethical, legal and practical issues to consider when working with drones in journalism, from 1-3 p.m. Sunday, July 24. This event takes place at Provincial Vineyards, 14373 N.W. Timmerman Road, Forest Grove, in the beautiful wine country of Washington County, where we will be able to fly drones across the property. Ticket price includes a wine tasting and hors d’oeuvres. This program is put on by the Oregon Territory Chapter of the Society of Professional Journalists and the Portland Chapter of the Online News Association. The Oregon Territory Chapter of the Society of Professional Journalists announces the first debate between Gov. Kate Brown and challenger Bud Pierce will be held Sept. 24 in Bend. The debate will focus solely on issues facing Oregon’s rural residents. “The Oregon Territory SPJ believes it is important to have an honest and open exchange at the highest levels about the state’s future in rural areas,” said Oregon SPJ President Samantha Swindler. “With more than a month between this debate and election day, we hope the issues raised will help give voters enough time to learn where the two major candidates stand on a range of rural issues, from the environment to education to the economy. “Having the two major candidates participate in this important discussion is, in our view, good for the entire state, and we thank Governor Brown and Dr. Pierce for agreeing to this important discussion,” Swindler added. Oregon SPJ will host the debate in partnership with The East Oregonian, KTVZ-TV and Jefferson Public Radio. The Oregon SPJ Board sought these distinguished media partners out as they represent some of the best journalism dedicated to serving rural Oregon. The Oregon SPJ is now also looking for media partners based in Portland, and hopes to have an announcement soon on additional partners. The hour-long debate will be a moderator-panelist format in front of a live audience. Candidates will get 90 seconds for opening statements, then will field questions from the panel made solely of rural journalists. Candidates will get 60 seconds to respond, with a 30-second rebuttal period. Each candidate will be provided with a 90-second closing. Oregon SPJ will ensure the debate is distributed in the metro Portland and Salem markets by partnering with media groups in those areas. The location for the debate has not yet been finalized. Both those announcements will come by mid-August. The Oregon Territory SPJ Chapter, which represents journalists throughout the state of Oregon and Vancouver, Wash., is dedicated to strengthening journalism and government transparency. For more information, contact Sam Swindler at 503-812-8992, or John Sepulvado at 971-803-9300. 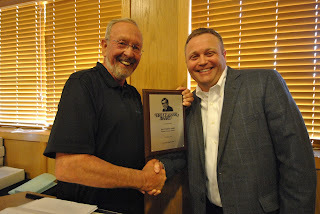 The Oregon Territory Chapter of the Society of Professional Journalists gathered June 21 at the Green Dragon in Portland to honor winners of several chapter awards and in SPJ’s Northwest Excellence in Journalism contest. The Bruce Baer Award, given by the Friends of Bruce Baer committee, is traditionally presented at the Oregon SPJ awards night. The award recognizes excellence in investigative journalism and is given in the name of Bruce Baer, who spent 13 years at KATU-TV before his death of cancer at age 40. In recognition of the 40th anniversary of Baer’s death, the Friends of Bruce Baer and the Portland State University Foundation are launching a campaign to create an endowment to support the award into the future and double the current award prize of $1,000. Matthew Kish with the Portland Business Journal won this year’s Bruce Baer Award for his article “The Shell Game.” Kish spent three years and dug through more than 6,000 public records for his piece about Oregon’s lax laws around shell companies, focusing on a run-down house in Aloha that was home to some 1,300 companies. a non-journalist who has advocated for open government. Oregon Territory SPJ also presented the 2015 First Freedom Award to Oregon Attorney General Ellen Rosenblum. The award honors a non-journalist who has worked on behalf of government transparency. Last year, Rosenblum’s office created a Public Records Law Reform Task Force to review Oregon’s 500 exemptions to public records laws, the state’s lack of any firm deadline to respond to public requests, and the fees associated with receiving public information. The chapter board hopes that these reviews will lead to positive changes to public records laws in the next legislative session. Rosenblum thanked her staff for their help on the task force, including her communications director Kristina Edmunson and special counsel Michael Kron. She called public records a critical ingredient in the creation of quality journalism. 2015 Rookie of the Year. 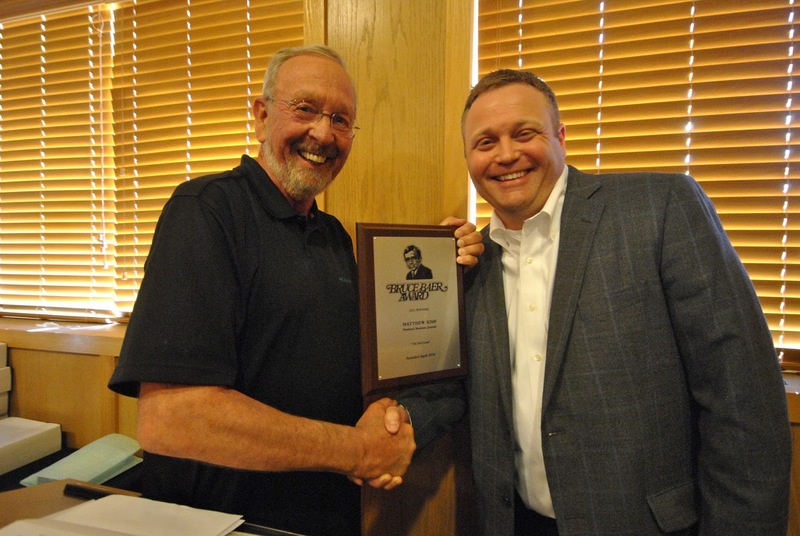 The Oregon Territory Chapter also gives an annual Rookie of the Year award to a journalist who has had his or her first full-time, non-internship reporting job in the prior calendar year. The honor comes with a $500 prize. This year’s winner is government reporter Gordon Friedman with The Salem Statesman-Journal. 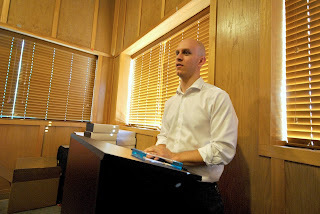 Friedman was nominated by his editor for his work covering the Malheur National Wildlife Refuge takeover, as well as an investigative piece on worker lapses in Oregon prisons. Friedman, who was surprised by the announcement at the awards program, said he had celebrated his one-year anniversary at the Statesman the prior day. He said he’s written more than 450 stories since he began at the paper. The June 21 awards night was also a chance for area journalists to collect their awards from the five-state Region 10 SPJ Northwest Excellence in Journalism competition. A full list of contest winners can be found at www.spj.org/region10.asp. 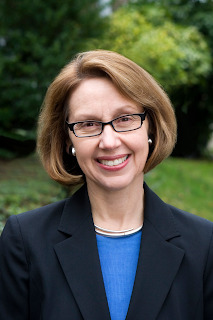 The Oregon Territory Chapter of the Society of Professional Journalists has selected Attorney General Ellen Rosenblum for its annual First Freedom Award. 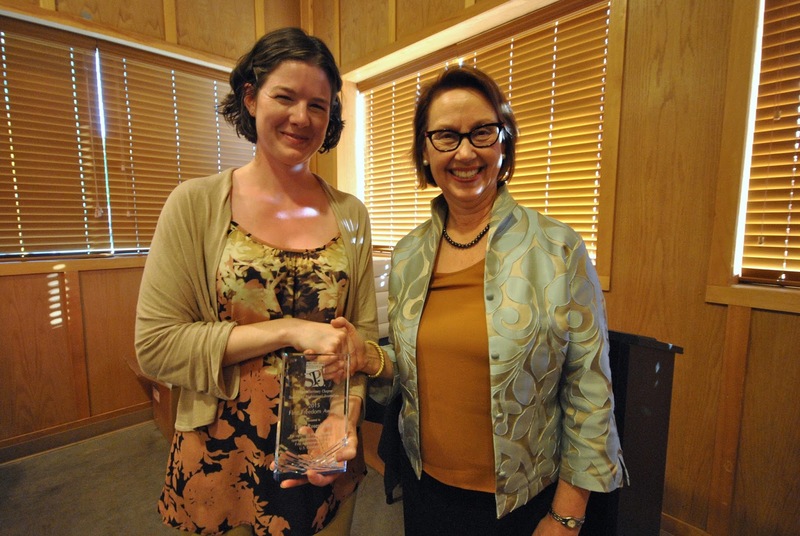 The First Freedom Award recognizes a non-journalist who has advocated for open government in Oregon. In making the selection, the chapter board said it wanted to recognize Rosenblum’s recent initiative to put together a statewide Public Records Task Force. The task force is charged with exploring solutions to the tangled mess of more than 500 exemptions to Oregon Public Records Law, burgeoning fee structures and a lack of deadlines for disclosure. 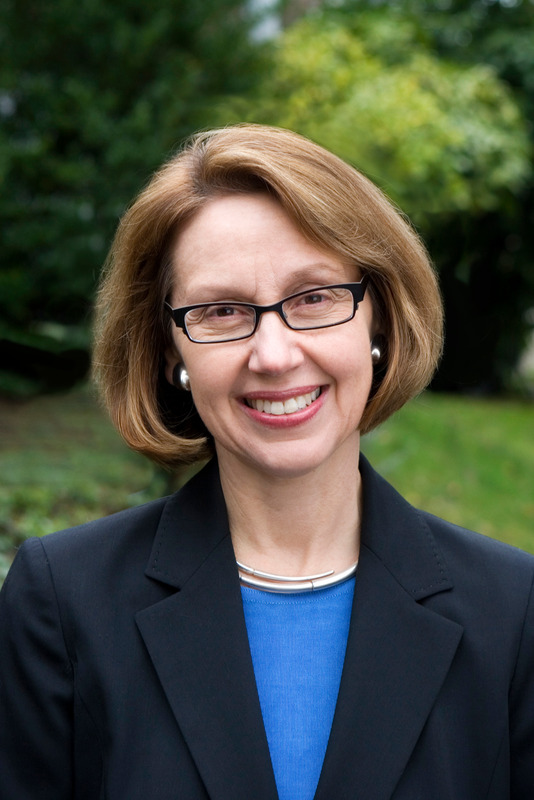 Rosenblum will be presented with the award on Tuesday, June 21, in Portland. The public and fellow journalists are invited to the Oregon Awards Night, 7-9 p.m. at the Green Dragon, 928 S.E. 9th Ave., in Portland. The chapter will also recognize winners in the 2015 Region 10 SPJ Northwest Excellence in Journalism contest and Matthew Kish, winner of the 2015-16 Bruce Baer Award for outstanding investigative reporting in Oregon.